Over the weekend we reported that Verizon points the blame at Microsoft for the latest Windows 10 Mobile phones, the Lumia 950 and the Lumia 950XL, only being available for purchase at AT&T and/or unlocked at the Microsoft Store in the US. Both of these statements strongly indicate that the lack of availability on multiple carriers is a clear conscious choice by Microsoft. After not bringing a premium phone to the market for nearly two years, this move has left consumers guessing why Microsoft would seem to be shooting themselves in the foot with only offering one of the two devices on a single carrier. The single carrier launch strategy may have worked for the iPhone but that was also eight years ago and a completely different situation of an entirely new type of device coming to the market. And the strategy of a single carrier certainly did not help the monumental flop of Amazon’s Fire Phone in 2014. The lack of wider carrier availability has been a little confusing as both Microsoft and AT&T have been precise in their wording to say that the Lumia 950 is being made available first with AT&T, and it is not an exclusive deal. The choice of going with a single carrier at the launch of the newest flagship may be a new operating approach to how Microsoft tries to pick its battles for certain markets. 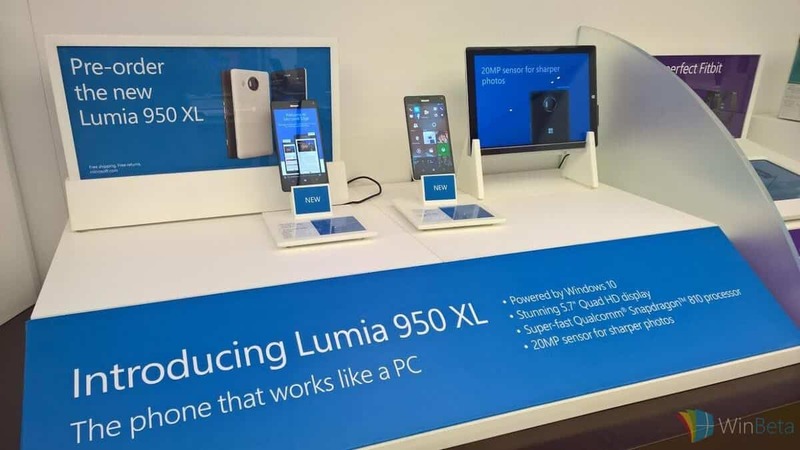 While today’s statement from a Microsoft representative does not paint the full picture of Microsoft’s choice to limit the Lumia 950 and Lumia 950XL’s availability, it does seem to imply their approach is to wade into the market slowly and more thoughtfully. This appears to have resulted in Microsoft first introducing the phone on a single carrier in the US, where Windows Phone’s market share has historically struggled more compared to other markets. The device and services company might be testing the market and more strategically deciding how and when to make a broader push with the devices. But as Windows Phone owners on other carriers besides AT&T are left still waiting for the chance to upgrade to a new flagship phone, the new emphasis on a strategic retreat in mobile will apparently keep them waiting even longer. Until new carriers are announced, you can buy the Lumia 950 from either AT&T or the Microsoft Store. You can also buy the unlocked variants of the Lumia 950 and 950 XL from the Microsoft Store, either online or in person. An AT&T salesperson we talked to said they are not offering the 950XL because they do not support selling dual SIM phones, but that’s not really official, as it’s coming from pretty far down the chain. What do you think of Microsoft’s choice to start with a single carrier, and go wider in the long-term given their history with Windows Phone? Let us know in the comments section below. What do you think of Microsoft's choice to start with a single carrier, and go wider in the long-term given their history with Windows Phone?